There are many steps on the road to publication a writer must take. Of course, first you need to write something. This can take weeks, months, and even years - on the contrary to what many people think. Then you need to polish your manuscript until it's shining like a bright copper penny. Buff out the hard edges, sand out all the splinters, and fill in the gaping holes. Get critique partners and beta readers to rip it up and give you good, honest feedback - and take most of it, to heart; it's only going to make your story stronger. Then do this step, all over again. Believe me, you don't send out your manuscript the day after you've typed your last word (even though this is what I did, with my very first manuscript...no wonder it's locked away on my external hard drive, far, far, away!). But once your manuscript is ready to find a great literary Agent - it's not as simple as printing it out, wrapping it up in brown craft paper tied off with twine, and shipping it off to your top choice of agents. Nope. Not even remotely. Because you still have a few more steps you need to take - first of which, is write yourself a great query letter, so you can get the attention of said great literary Agent. But what exactly is a query letter? Plain and simple, a query letter is a one page cover letter, that pitches you and your story to those in the publishing industry. You have seconds to make a lasting impression, and only one page to do it all in. One. What it's not: a resume. Or page after page of how great and original your story is. Or how much better you write than that chick who wrote the vampire books. For the most part, your query letter should consist of the following: the hook, the mini-synopsis, and your writer’s biography. Many believe this should pack down into three tidy paragraphs - but I don't necessarily agree with that. As long as you keep all of the above to ONE page, I think it's fine, to say, have 4-6 small paragraphs vs. 3 long ones. But net/net, it should be roughly around 250 - 300 words total, from Dear Agent to Sincerely, Your Name. Agent Query posted a great article on How To Write A Query, which goes into more detail on all three of the above aspects, that make up the query letter - plus, they give great examples. And I HIGHLY RECOMMEND taking a class on learning to write the perfect query: I don't believe C.J. Redwine teaches her workshop anymore (I took her query class a few years ago, and it was invaluable! ), but I know she's published a book on the topic, which is worth checking out (just click on her name above for more details). 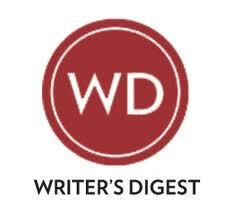 I've also taken several classes through Writer's Digest - they always have guest agents that conduct them (I've taken a few from both Mary Kole and Sara Megibow, which were outstanding) - and you always get hands on advice! Once you've landed on the perfect query letter - if you haven't already, it's now time to start researching the agents you want to query. There are MANY resources out there, for researching agents - Agent Query, Publisher's Marketplace, Twitter, and my all-time favorite: QueryTracker. And what exactly is QueryTracker.net? But really, QueryTracker is an amazing data base, were other writers in the querying stage come to learn about agents, share who they've queried themselves, offer support, and understand many of the typical habits of most agents (response turn around time, average acceptance / rejection percentages, correct name and mailing address, etc.). It truly is a valuable service to those ready to query an agent - and the best part? It's a free service (although for $25 / year, you can upgrade for more in-depth features, which are well worth it). Not to mention, Patrick - the King of QT support - is a-mazing! He's constantly monitoring the list of agents tracked to make sure none of them are on the Preditors and Editors list (aka, the agents that don't have your best interests at heart), is there to answer any questions - and overall, maintains the awesomeness that is QueryTracker. Head on over there and sign up, if you haven't already! A query letter takes time - and lots of it. Sometimes it takes multiple versions, before landing on the right one. But to be totally honest, this is one of my most ABSOLUTE favorite steps of the writing process. I love writing queries - however sick and twisted that sounds - but I do. Synopsis on the other hand? Not so much. 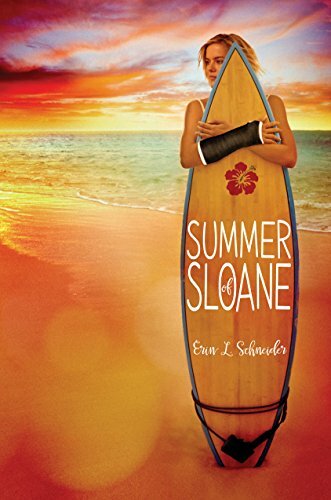 I was going to post my query letter for THE LUCKY FEW, which netted the most success I've had in the querying process over all the years (5 weeks of querying: 17 agents queried = 10 fulls, 3 partials, 4 declines - and an exclusive rewrite with my top choice in agents) - but instead, I'd rather hear your thoughts on the whole process. If you have any questions or you'd like to share your query letter, I'd love to see it! So...Query Letters and QueryTracker.net: how did YOU tackle the query process and what tools did you use?